The director of Google's self-driving car project wrote in a blog post Monday that development of the technology has entered a new stage: trying to master driving on city streets. Many times more complex than freeways, which the cars can now reliably navigate, city streets represent a huge challenge. Here are five things to know about the cars, and their future. Google says its cars have now driven about 700,000 accident-free miles on freeways in "autonomous mode'' - with the car in control, though a safety driver sits behind the wheel. That's the equivalent of about 120 San Francisco-to-Manhattan-to-San Francisco road trips. 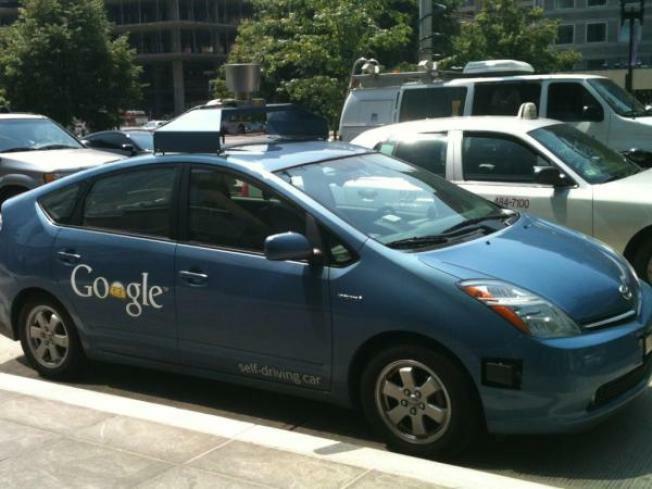 With that success, Google has been focusing on city driving for about the past year. Freeways are relatively simple for the cars - no blind corners, no cyclists and no pedestrians. City streets have all that and more, including intersections and complex interactions with other drivers, such as who goes first at a four-way stop sign. Google says that in the past year, the Lexus RX450H SUVs it has retrofitted with lasers, radar and cameras rapidly learned how to handle thousands of urban driving situations. The robot's vision can now "read'' stop signs (rather than rely on a map to plot them out) and differentiate between hundreds of objects in real time. It also can negotiate construction zones much more reliably. But the technology is far from perfect. Improvements are needed in merging and lane changes, turning right on red and handling bad weather. Not in the near future - unless you live in Mountain View, Calif., where Google is located. So far, the tech giant has focused street driving in its hometown, which it has mapped parts of in tremendous detail. The mapping helps the car's computer make sense of its environment and focus on moving parts - other cars, cyclists and pedestrians. Just four states - California, Nevada, Florida and Michigan - and Washington, D.C., have formally opened public streets to testing of self-driving cars, though testing is probably legal nearly everywhere (because it is not expressly banned). In 2012, Google co-founder Sergey Brin predicted that the public would be able to get ahold of the technology within five years. Google isn't revising that date. Initially, drivers would be expected to take control if the computer fails. Eventually, the vision goes, there would be no need for a person in the driver's seat - or at least not a driver who has to watch the road. While Google has enough money to invest in making cars, that likelihood is remote. More likely options include collaborating with major carmakers or giving away the software, as Google did with its Android operating system. Meanwhile, traditional automakers are developing driverless cars of their own. Renault-Nissan's CEO said he hopes to deliver a model to the public by 2020.